Below are paintings by Edgar Degas and Georges Braque. 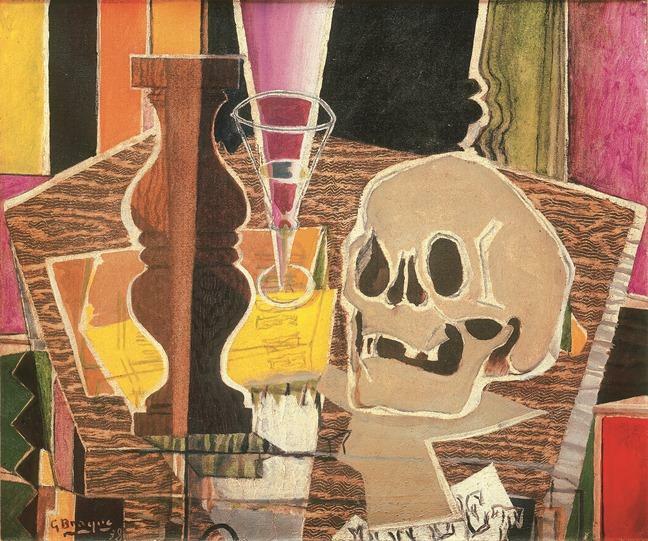 Degas was an Impressionist painter and Braque was a Cubist painter. 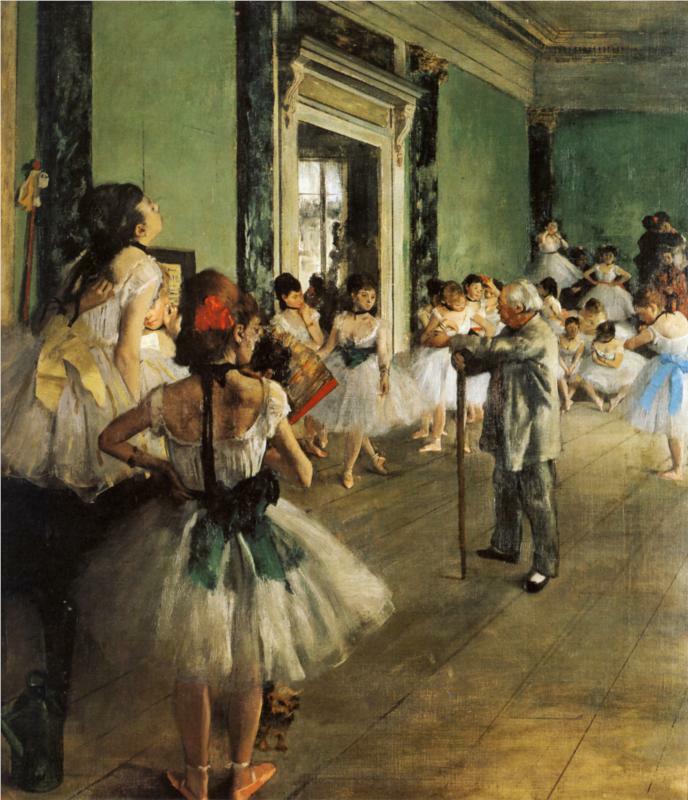 I liked the first painting because it not only shows a ballet class but it also shows their emotions and you can clearly see their tiredness. i like the last one because the colors are pretty and i like the shapes and skull. I like the 6th one because of the variety of colors. I love Edgar Degas' work. I love the first painting the most because this painting showed the pain in what was thought to be perfectly beautiful. The ballet dancers are shown during practice, and they all aren't perfect: they look tired and ready to go home. 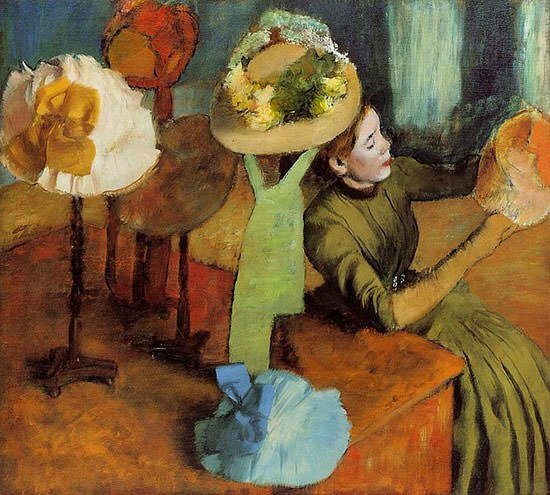 Degas' art showed the not perfect parts of life. Degas is one of my all time favorite painters and his art is so dynamic and beautiful and I've been greatly influenced by my dad in him being one of my favorites. I like the first one because he uses different colors for all the dancers and makes them so detailed. My favorite is the very first one, because I had wanted to be a ballet dancer. But looking at it reminds me of the saying, "Behind beauty is pain." Tagging onto Ryann's comment. I like the first one by Degas because of the amount of emotion it shows through the colors and the setting. I like the very first one by Degas because of the details, facial expressions on the dancers, and also the way the painting flows together.